WILMINGTON — New Hanover County’s Department of Environmental Management, which oversees the county’s landfill, is partnering with University of North Carolina Wilmington on a pilot program beginning this July that aims to divert some of the university’s food waste into compost that can then be sold within the county for farming, landscaping and gardening. The New Hanover County Board of Commissioners in January approved the purchase of the $340,000 composter, paid for in part with a $15,000 grant. The nearest composting facility is two hours away, so there is local demand and the program is not in competition with the private sector. The machine is expected to compost 75 tons of food waste each month, which will be combined with yard waste to create a nutrient-rich compost. It’s an idea that has worked in other areas. 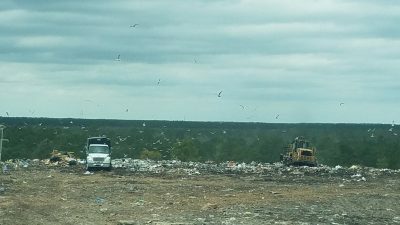 The Coastal Environmental Partnership, which serves Carteret, Craven and Pamlico counties, has had success with a similar program converting landfill yard waste to compost, which they then sell to the public for $30 per ton. Along with diverting yard waste from the landfill, New Hanover County aims to tackle the issues that food waste causes when dumped in its landfill. Not only does food waste make up 50 percent of all solid waste in the landfill, taking up valuable space, but as it decomposes, it releases methane, a potent greenhouse gas. 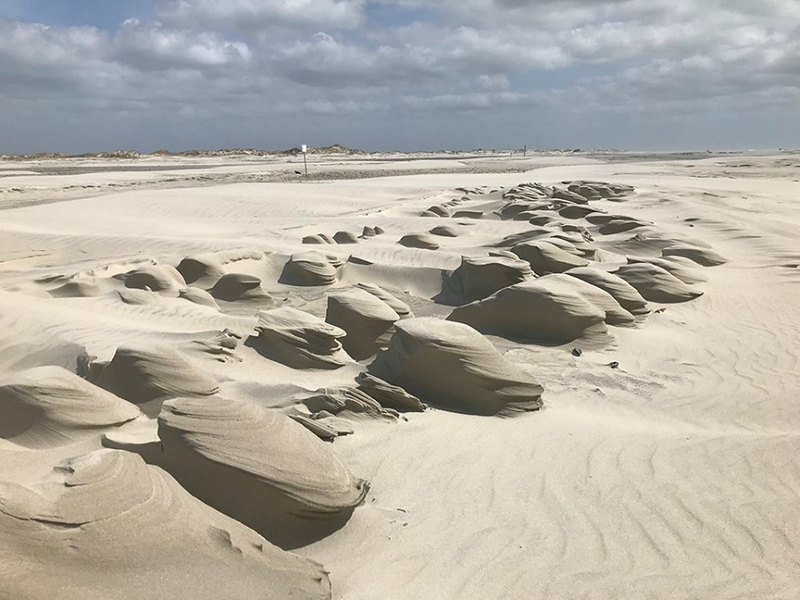 “If we take out half of our waste stream, we can extend the lifespan of the landfill from 90 years to 180 years,” said Joe Suleyman, director of New Hanover County’s Department of Environmental Management. This program is the latest of several initiatives Suleyman has advanced during his time leading the department. He arrived in 2013 at a decisive time in New Hanover County’s problematic history in waste management. In 1979, New Hanover County’s Flemington landfill was closed after the EPA found numerous toxic chemicals and carcinogens beneath the unlined site and in nearby residents’ wells. For two years, the county moved its waste from one temporary site to another until finally, the county sprung for a $3.2 million lined landfill – the first lined landfill in North Carolina – which opened on U.S. 421 in November 1981. At the time, energy prices were high and county officials determined that a waste-to-energy incinerator would conserve landfill space and lower tipping fees, the cost for dumping waste, which led to the construction of WASTEC in 1984, at a cost of $14 million. The goal for WASTEC was to earn enough money in energy sales – steam and electricity – to significantly lower, or even eliminate tipping fees. But, the facility never did manage to break even with energy sales and by 2011, it was badly in need of repair, so the county voted to shutter it temporarily. This led to two years of heated debate among New Hanover County’s board of commissioners about whether to refurbish the incineration plant or to outsource waste management to a private firm that would transport trash out of the county. In 2013, much of WASTEC’s structures were demolished and repurposed into a hazardous waste collection site after it was determined the metal on the smokestack and other parts of the structure was so corroded that it was a danger to the public and county employees at the site. Meanwhile, trash at the landfill continued to rise. A debate about privatizing the county’s waste management deadlocked in a rare 2-2 tie in June 2014 when the five-member board of commissioners was short a member, as then-commissioner Brian Berger failed to show up at board meetings after being arrested on impaired driving charges. The tie meant that the incineration facility would remain closed and waste management would not be privatized. Early in 2015, the state’s Department of Environment and Natural Resources, now called the Department of Environmental Quality, approved the county’s landfill site for a 273-acre expansion, 90 acres of which were set aside for lined waste-disposal cells while the remainder was allocated for natural wetlands, habitat restoration areas, buffer zones and soil borrow-pit operations. This was good news to Suleyman, who had moved to Wilmington from Indiana two years prior to head up New Hanover County’s Department of Environmental Management, soon after the WASTEC facility was demolished. “It has taken two and a half years to get to this point and now the focus will shift to redoubling our efforts to minimize disposal and increase recycling, reuse, and waste reduction,” Suleyman said at the time. Under Suleyman’s leadership, the food waste composting plan was set in motion; a material recovery facility, or recycling facility was established; a household hazardous waste facility and “HazWagon” mobile collection unit were created; a double reverse-osmosis leachate treatment system was built; a construction and demolition debris collection service was opened; and the groundwork was laid for a methane gas recovery system. 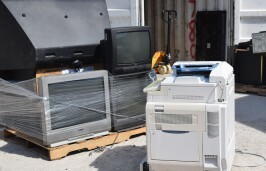 All of this happened while managing deliveries of trash, recyclables and yard waste from county waste collectors and from eight community recycling drop-off sites, as well as providing onsite disposal of everything from TVs to cooking oil. Moreover, the tipping fee at the facility went from $59 per ton for municipal solid waste in fiscal 2012-13 to $50 per ton for municipal solid waste in 2016. The landfill does not charge for mixed recyclables and other recoverable material, such as yard waste, appliances, some construction material, household batteries and household tires. In 2015, Sonoco Recycling LLC partnered with New Hanover County and the city of Wilmington to build and operate a material recovery facility at the former WASTEC location. The facility was originally planned to divert 25,000 tons of waste per year from the landfill, but it’s currently diverting close to 30,000 tons, managing recyclables from New Hanover County at about 18,000 tons per year, as well as recyclables from Pender and Brunswick counties. The annual savings from avoided operational, processing and landfill costs come to roughly $600,000 for the county and city. Cardboard and mixed paper are processed on site by Sonoco; most cardboard today is sold to China. All containers – soda bottles, cat food cans, aluminum cans – get bailed and shipped to Jacksonville, to a facility with better sorting equipment, and then marketed. The glass gets crushed and shipped to Wilson, where it’s sold for things like highway reflector strips and sandblasting media. “We ship about 24 tons of crushed glass each week and Sonoco earns $27 per ton for it domestically,” said Suleyman. The biggest market for recycled plastics is in soda bottles and other bottles marked with a No. 1 on the bottom and those marked with a No. 2, like milk jugs and laundry containers. But as oil prices drop, the market for recycled plastic decreases because it’s cheaper for manufactures to use virgin plastic rather than to purchase recycled plastic. “Rigid plastics – things that can be made into car dashes for instance, are sold for 2 cents a pound; a lot more labor goes into it that it’s worth, but it’s not going into the landfill and that’s what’s important to us,” said Suleyman. Plastic makes up the second largest component of solid waste in the landfill, after organic waste. Bonnie Monteleone, executive director of The Plastic Ocean Project, a Wilmington-based group working to solve the global plastic pollution problem, questions why profitable oil companies continue to receive government subsidies when they are among the top polluters, not just pollution from oil spills and emissions but also from plastic, which is made from oil. 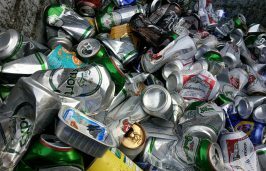 Monteleone suggests that recycling industries receive federal subsidies instead. Currently, recycling is voluntary for New Hanover County residents. Wilmington offers an incentive in that residents select from three sizes of trash receptacles, the largest costing the most, and they receive recycle bins and collection at no extra cost. Other county residents pay a nominal fee for recycle bins and collection. “The city does it right, in my opinion,” said Suleyman. Even with the low- or no-cost option and eight recycling drop-off sites around the county, there’s only about a 10 percent participation rate for resident recycling. Zapple hopes for a discussion among stakeholders, beginning with the private haulers, to incentivize county residents to recycle. With 100 percent participation in recycling, revenue the county receives would increase. The county earns revenue on a tiered rebate schedule whenever the weighted average price for mixed recyclables is more than $60 per ton; the price is currently $95.17 per ton, earning the county $10 on every ton delivered to the recycling facility. In July 2016, the construction and demolition debris facility opened at the landfill. “When I got here, this site used to accept barely 800 tons a day – now we’re over a 1,000 in the span of four and a half years and a lot of it is due to the massive amounts of construction going on around here,” said Suleyman. The facility charges $50 per ton for construction debris and the processing cost is $36 per ton; the recovered materials either increase or decrease revenue, depending on the commodity. For example, wood waste costs the county $10 per ton in tipping fees, but the county makes about $100 per ton for scrap metal and $80 per ton for cardboard. “But, the main driver is saving landfill air space, which costs us about $11 per ton to engineer and construct,” said Suleyman. Five years ago, the landfill was expected to reach capacity in just five to seven years, said Zapple. The facility began accepting household hazardous waste in May of 2013 and as of January, a mobile hazardous waste unit, the “HazWagon,” sets up for once a week for four hours in Wrightsville Beach, Carolina Beach and Ogden Park. Suleyman said the HazWagon was created to make it easier for residents do divert contaminants like batteries, antifreeze, aerosols, fertilizers, household cleaners, motor oil and electronics from the landfill. Yet another upgrade, which Suleyman describes as “our latest and greatest” is a $3.2 million double reverse osmosis water treatment system, which became operational in July 2016. 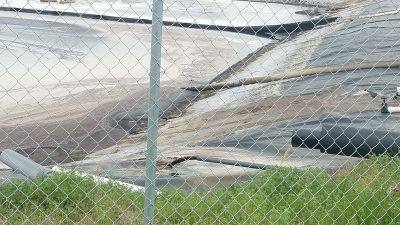 All the leachate, or rainwater that has run through the landfill gathering pollutants along the way, is pumped to a 2 million-gallon capacity lagoon and then runs through a biological system that uses bacteria to eliminate some of the solids. “We feed the bacteria dog food and sugar to help them reproduce as quickly as possible,” said Suleyman. From there, it runs through both reverse-osmosis systems. “Right now, our water is meeting federal clean water drinking standards, so you can literally drink it,” he said. The treated water is pumped into the Cape Fear River at about 50,000 gallons per day. In addition to the pilot program with UNCW, the site is being fitted with piping to trap the gas and process it for use in generating power. The site is currently generating enough methane to power 2,600 homes. Suleyman plans to have a fully operational methane collection system operational by 2019. Despite all the advancements ties, waste disposal has increased 10 percent every year for the last three years, as New Hanover County continues to grow. Following that trend, Suleyman predicts the landfill will reach capacity in about 65 years. He hopes that emerging technologies currently being tested at small scales will be refined and available for use at a commercial scale before then. Dana grew up near Chicago, and moved all over the country before finally arriving home – when she and her family moved to Wilmington in 2013. She earned a Bachelor of Arts in journalism from San Diego State University, and a Master of Science in environmental sciences and policy from The Johns Hopkins University. 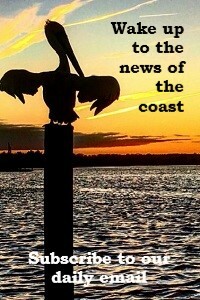 She writes and environmental blog at www.greenandbluestuff.com and lives near the water with her husband who builds boats, and their two awe-inspiring daughters.